BENTONVILLE, Ark. — Walmart chief technology officer Jeremy King is leaving the company later this month, according to an internal company memo. While the company seeks a successor, Walmart Labs senior vice president of customer technology Fiona Tan will take on an elevated role, serving as liaison between the company’s technology and other leadership functions. King, whose official title was executive vice president and chief technology officer, Walmart U.S. and U.S. eCommerce, joined Walmart in 2011 with the mission of helping to transform the world’s largest retailer into a technology company and a leader in online and omnichannel retailing. 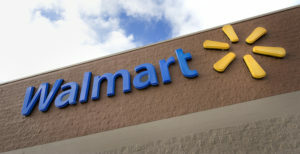 King joined Walmart during the inception of what is now known as Walmart Labs. During his first few years at Walmart, he is credited with building an engineering and product organization focused on reimagining the company’s eCommerce platform. He also led Walmart Labs through more than 10 acquisitions and the opening of four new tech offices. He also led Walmart to tap into, and contribute to, the open source community. King’s last day at Walmart will be March 29.